THE HEATHER REPORT: Are You Registered to Vote? Today’s post will be short and sweet, but very important! I’m a day late, technically - yesterday was National Voter Registration Day. It seems that in general, people are more engaged in politics than they were 5 or 10 years ago. But it’s important that our political engagement doesn’t stop at arguing with friends or family on Facebook/Twitter. That’s why you have to make sure that you’re registered to vote at your current address - and, of course, that you follow through and actually VOTE! 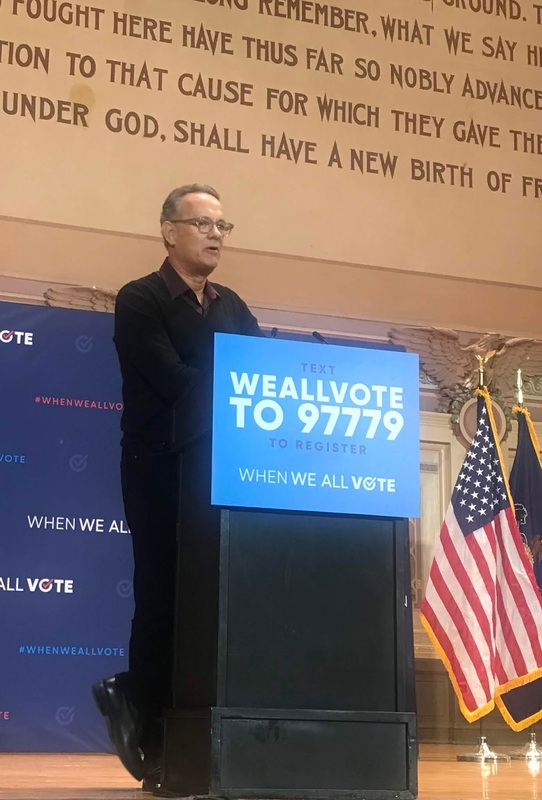 I attended the When We All Vote event last night at Soldiers and Sailors - it was great to hear so many different people, of all different ages, talk enthusiastically about voting. Plus, the event was headlined by Tom Hanks, who is in town filming a movie about Mr. Rogers. 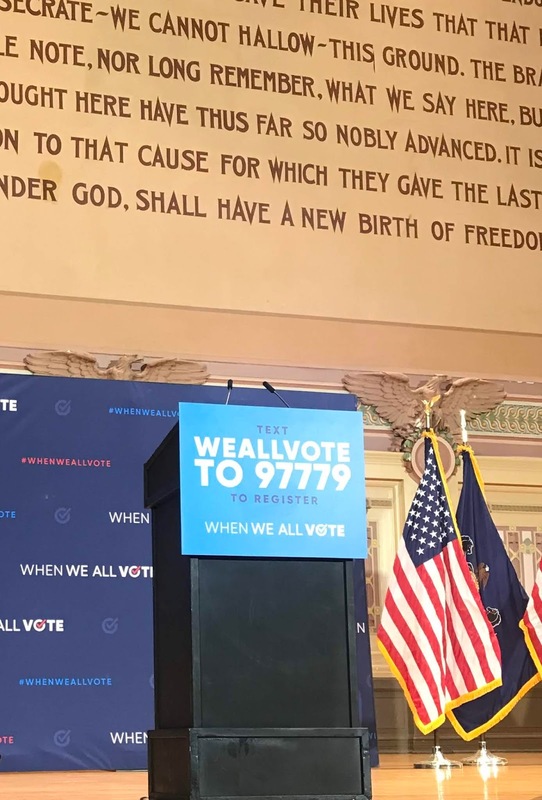 The event was amazing, and I hope that it helps encourage more people to get involved and take part in the political process. Sometimes it can seem like voting and politics don't really have an effect on our day-to-day lives. But as someone living with a disability, I know first-hand how untrue that is. While you might not all be following along with discussions about the ACA and ADA as closely as I am, I guarantee there is at least one issue that you're passionate about that is shaped by public policy. So - pay attention, stay informed, be involved, and VOTE!